When Ratan Tata first announced the Tata Nano, the world’s cheapest car, he said that it was his dream to put the average Indian family on four wheels which travelled on a scooter. It was an engineering marvel to say the least when it first came to the market but it had a lot of glitches and we all know about the ones which caught fire. As promised, it was introduced at a price of Rs.1 lakh ex-showroom but that was only for the first 1 lakh orders and it was the only time people rushed to buy a Nano. Soon its price increased and the CX trim started costing around a lakh and a half. Nano being positioned as the cheapest car in the world somehow dented the car’s aspirational value. The Nano does not even manage 10,000 units a month and sells just enough to sustain the Sanand plant. It got a nice start when it first got launched and insufficient dealership network, and not-so-strong after sales and slow advertising campaign contributed to the dipping momentum. He also said that the delays in launch due to shifting of the plant let the hype around the product die down when it came on the roads. Tata motors has sold 2.2 lakh units of the Nano till date but that was something they set out to achieve in an year. The Nano’s sales in the current fiscal till November are 47,130 units up from 39,646 units last year. Tata is bringing out new variants of the Nano, offering discounts and bringing out aggressive advertisement campaigns.We hope that the so-called forthcoming refresh helps Nano what it set out to achieve. Tata is working on increasing the market penetration, be it in rural India or the export market. Since we are talking about Nano, do you know that Tata is testing a diesel Nano with an average of 40KMPL. The 2013 Tata Nano Diesel is planned for 2013 launch. 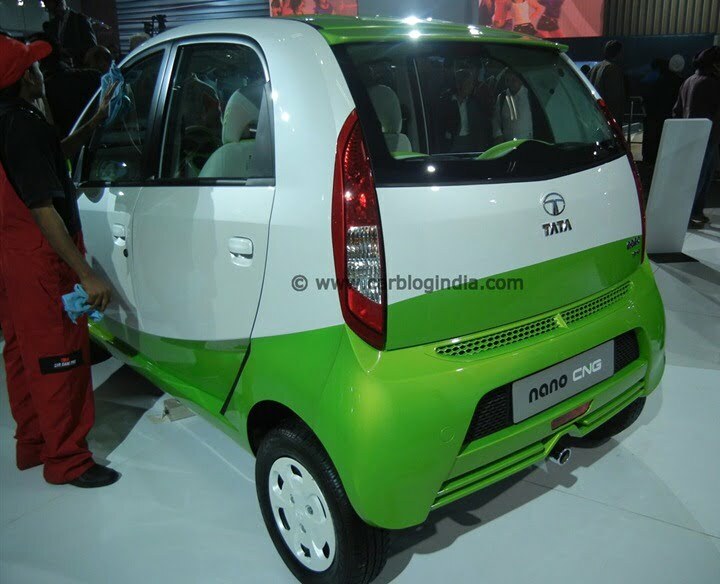 Not only a Diesel model, which will be definitely expansive than the petrol counterpart, Tata is also working on Tata Nano CNG which is also expected in the year 2013 only! The CNG concept of the Nano made its official appearance at the Auto Expo of 2012 in New Delhi. The road certainly looks good ahead for the new 2013 Tata Nano, stay tuned to us for updates.